Their daily operations in three warehouses require accuracy and proficiency as they process and prepare nearly 20,000 containers of product on a daily basis for a vast network of independent distributors. As part of the distribution process, Mission Foods places all of their packaged products in returnable plastic containers (RPCs), which independent distributors then load onto their trucks. The distributors are supposed to return these RPCs after their sales are complete. The problem was Mission Foods found that after the RPCs left the warehouse for deliveries, the containers more than likely were never seen again. The company’s previous paper-based tracking process wasn’t streamlined across their various warehouses and distribution centers. Mission had no way to track if RPCs were returned to a different facility or if they were ever returned at all. Because of this, they lacked basic asset tracking. The results were staggering with nearly 100 percent of their RPCs needing to be replaced each year. That gets expensive. Weber RFID labels helped the company implement an RFID-based asset management label tracking system. In the new process, the packaged products are picked and loaded onto the RPCs which are labeled with thermal-transfer paper RFID labels. 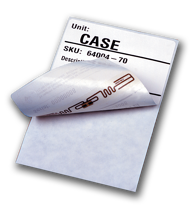 RFID labels provide a unique ID for each product and can be associated with individual information such as the manufacturing location, date shipped, lot number, etc. The label is printed using a thermal-transfer printer with human readable information and then RFID encoded. Once labeled, the returnable plastic containers are loaded onto pallets. The next step is to apply the label to the pallet wrap. RFID readers record these pallets and associated RPCs as a forklift drives though an outbound portal prior to the loading dock. When the delivery trucks return, the RPCs are processed through an inbound portal, offering an easy and immediate reconcile of inventory. This way, Mission can track who has their RPCs and whether they were returned or not. The RFID labeling program drastically improved logistic operations. Mission realized a huge return on investment in just a short time-frame with the loss-prevention of the returnable containers. RFID is an excellent asset control solution for the application with a proven outcome. Just when our customer thought it was “Mission Impossible”, they deployed an asset tracking RFID program that has changed things to “Mission Accomplished”. 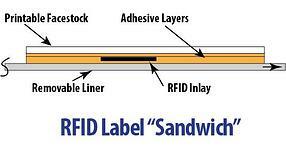 Weber Packaging Solutions manufactures RFID smart labels and we offer RFID media that will maximize performance and minimize costs. Our face stock materials are available in thermal-transfer and direct thermal papers, film and other synthetic substrates with high or low-tack adhesives. 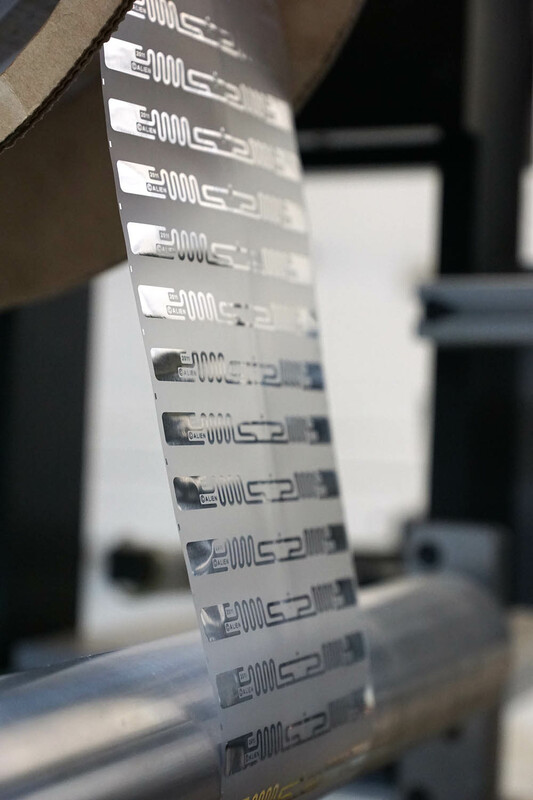 All SmartTrak RFID labels are produced using fully tested RFID inlays from trusted sources like Alien Technology, Avery RFID, and Smartrac Group Technologies. Every label is certified and verified to be the highest in quality with 100% inspection. Be sure to check out Weber's RFID-enabled printers and printer applicators. And remember, a return on an investment with RFID technology for asset tracking is achievable from improved quality and accuracy, the ability to perform frequent inventory counts and other benefits. Contact us today to get started with a RFID program to improve your bottom line.